Rating: This program contains material that parents may find unsuitable for younger children. When the two shots rang out, Bruce Wayne's life changed forever. He pledged himself to justice and he held that oath for years. 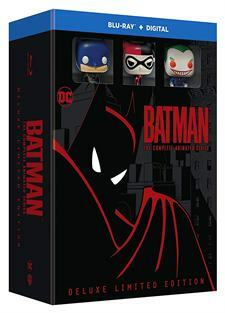 The acclaimed, Emmy-winning TV series redefined this complex man as an edgy hero, and this comprehensive collection contains every episode, with all the allies, criminals and showdowns in Batman's history. Download Batman: The Animated Series in Digital HD from the iTunes store. Batman: The Animated Series images are © Warner Bros.. All Rights Reserved. Over the years, we have seen so many iterations of Batman. From the original comics to a campy 1960s TV show and then to the big screen with a whimsical take on the character in the 1989 film starring Michael Keaton to a more dramatic take with the newer films starring Christian Bale and Ben Affleck. 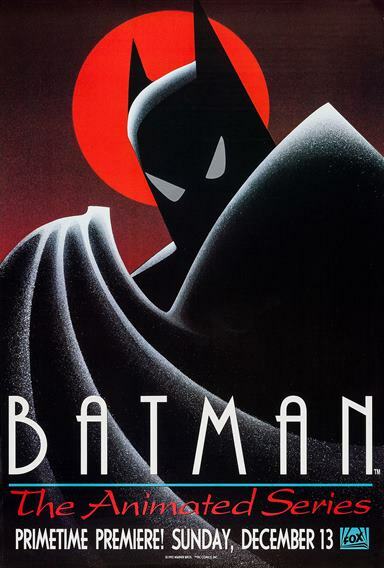 However, in 1992, we also saw a new animated series comes to life titled Batman: The Animated Series. Now, Warner Bros. has released the entire series on Blu-ray. While this series is animated, it's not limited to children as its audience. The cartoon was a bit darker and adult oriented and was often praised for its aesthetics, as well as its storylines. Many say that it is the most accurate take on the comics out of any other Batman project. This series came during a time when animation was very limited to children's Saturday morning cartoons, and they were only allowed to show certain things. Batman: The Animated series pushed the envelope to the edge and beyond. Not only that, the series was mostly hand-drawn; something that I feel adds to the whole vibe of the series. The series was definitely not your typical animated piece. Not only did it deal with more complex storylines but also showed a more complex way of portraying characters. Also, behind this series lies a talented cast full of veteran actors and actresses including Kevin Conroy, Mark Hamill, and Melissa Gilbert. Visually, I was extremely impressed with this transfer. Presented in 1080i in its original aspect ratio of 1.33:1 details jump off the screen and with very little grain to the film at all. For quite some time fans have been hoping that an HD master of the series existed and if it did if it was in good enough condition to showcase this very historical work properly and luckily it looks like they did. The show has never looked better. Colors you never thought were there are vibrant and jump off the screen. The newly mastered 2.0 DTS-HD audio envelopes the room so it actually sounds like you are in Gotham city right alongside the caped crusader. The discs also include some bonus features including two animated films from the series - 1989's Batman & Mr. Freeze: SubZero and 1993's Batman: Mask of the Phantasm. The bonus features also include The Heart of Batman documentary and Concepting Harley Quinn. Even though Batman: The Animated Series is now 27 years old its animation, storytelling, and plot devices still hold up today. In fact, Batman The Animated Series overtones and overall structure still influence many of the animation released in this day an age. This is one limited edition set you do not want to miss!